A review of HCC Health Insurance Company finds HCC Life Insurance Company, domiciled in Indiana. HCC Life Insurance Company is a division of HCC Insurance Holdings, Inc., a specialty insurance group with operations in the United States, United Kingdom, Ireland, and Spain. Wondering how much health coverage will cost you? Type your zip code into the box above and we will find you health insurance quotes for your area, at no cost to you! HCC Insurance Holdings underwrites insurance policies for property & casualty, as well as surety & credit, in the U.S. The company also covers professional liability, accident & health, and international insurance in all four countries. 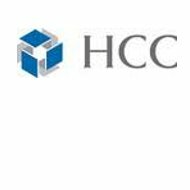 This review will focus on HCC Life Insurance Company, a provider of group life, accident, and health insurance policies. HCC Life Insurance Company provides medical stop loss, healthcare risk management, group term life, and short-term and international medical insurance. The company’s medical stop loss coverage, which is also known as excess loss coverage, is available to businesses with 50 or more employees, as well as trade unions. While these two types of customers differ along legal and employee benefit provisions, the medical stop loss policies cover employers who self-fund their health benefit plans. Medical stop loss insurance protects these employers in the event of a major catastrophic claim. HCC’s group term life coverage is given to individuals as part of their employer’s benefits package, and cannot be purchased directly from the company by the individual. This comprehensive live insurance plan consists of a basic employee and basic dependent life insurance, as well as a basic employee accidental death & dismemberment policy. The AD&D part of the plan is not available to dependents. The company’s life insurance package is only available to businesses with more than 20 employees. Employers can choose the benefits to be a multiple of an employee’s salary, a flat amount, or a combination of both. The basic dependent plan features three benefit schedules to choose from, and covers dependents including spouses and children ages two weeks through 18 years-old. Children who are full-time students are covered until the age of 24. The HCC Life Insurance Company also provides reinsurance to HMOs, protecting them from catastrophic claim losses, similarly to the company’s medical stop loss coverage. Company underwriters help companies manage their risk, focusing on cost containment and efficient care. HCC Life Insurance positions itself as the risk taker, handling the claims and payments. Lastly, HCC Life Insurance offers short-term and international medical coverage through its sister company, HCC Medical Insurance Services. Different policies are available for individuals, groups, and business people traveling internationally, to protect them in case of an accident or other emergency medical event away from their home country. HCC Medical Insurance Services also features medical insurance coverage for students studying abroad, citizens living or working in other countries, and groups with volunteers working or living abroad as well. The plan offers up to six or 11 months of medical coverage for those temporarily uninsured, such as recent college graduates looking for their first job, people moving between two jobs, new employees waiting for their employer’s benefits to kick in, and people looking for an alternative to COBRA coverage. For more career information, you may email the company directly. Health insurance coverage offers protection against unplanned events, both big and small. Protect yourself and the ones you love–just enter your zip code and shop from an assortment of health insurance quotes from different insurance providers. I am so sorry that I picked your company for my husband’s insurance. He had to have emergency heart surgery on 9-1-11 and your company is so far denying his claim “due to not receiving claim forms on time” even though forms were sent 6 times BEFORE the so called deadline.So far nothing but inconsistent stories from your company. Now we are being threatened with collection agencies.He does not need this on top of everything else. How quickly life can change. Go to bed fine one day, wake the next to find you are faced with life threatening situation,t hen go through h#[email protected] dealing with resulting bills and an insurance company that doesn’t live up to the standard they portray. I will never recommend your company the way things stand now. You are shameful! This insurance is a scam – they will take your money when something actually happens don’t expect to get help. My primary doc called hcc to make sure that I would be covered, and they said I would. Went ahead with the procedure, only to get a bill from my doc. Called hcc and was told that the claim was denied because it was an exclusion. this wasn’t mentioned when the doc called them but when it comes to settling the bill, the claim is denied. My husband signed us up for this insurance paying close to $700 a month for 4 months. I went to the Dr. once and have been denied payment on these bills. They said mine was closed due to lack of information, also that is was pre-existing. It was routine blood work and my thyroid checked. Nothing more. This is a rip-off company! I signed up for this company in December 2013 due to the Obama Care. In January I was diagnosed with a brain tumor and needed immediate brain surgery. They have not covered one visit, follow up visit—-NOTHING!!! AND they are still accepting monthly premiums from me. NOT Happy. $250,000 in debt now. ZERO Ratings for all!! They get paid tons of money to do nothing and pay crappy employees to treat their customers like crap. I had a heart attack 8 months ago and HCC still hasn’t accepted or denied my claims. They have to make sure it’s not pre-existing. They keep ordering Dr reports over and over and over and over. Even sent them certified mail and they said they received them and then when I call they say they are waiting for them. Giving me the run around. I’ve never had a heart problem before. Now my credit is going down the tube cause HCC isn’t taking care of their customers. This is Fraud. I’m going to fight this till the end if I don’t have another heart attack over it. DO NOT GET THIS INSURANCE. Stay away from this insurance provider.. They don’t process claims and delay them by more than 6 months and at last, sent a mail correspondence stating lack of information. claims. I am over it! I can’t force them to pay his bill. May I suggest that all you folks call the INSURANCE COMM.OFFICE in the state you live. They may be able to get some action. They win you over by saying they cover all kinds of things and that they have a great deductible. Then the catch is for every office visit you make to the doctor they send you a letter saying they need more information. They always need more information. Then they claim they never received the information that has been sent numerous times. I have new insurance through my work and go to the doctor’s office for the same reasons and for some reason through this new insurance, they don’t need more information. I find this very odd. I have had similar issues as the postings on this site. After seven months of weekly phone conversations and endless communications with HCC, countless requests for resending doctor reports, all claims for myself and my dependents have been denied with no hope of appeal (around 30k). It is like I did not have health insurance although I was paying a lot for it. I found the HCC representatives to be uninformed, rude, and in a few cases lied to me directly on the phone. HCC I believe is the worst company I have ever dealt with after 7 months all claims have been denied and my policy canceled. Ingrid Robinson at [email protected] has been helping me deal with HCC. Contact her if you are at a loss of what to do as well. I AM WRITING IN CAPITAL LETTER TO STAND OUT. HCC COMPANY IS DOING FRAUD BECAUSE IF THEY SELL THEM SELF UNDER OBAMA CARE BENEFIT LIKE IN MY CASE, THEY CAN’T REJECT CLAIMS BECAUSE PRE-CONDITION. I AM FILING A COMPLAINT WITH THE FEDERAL TRADE COMMISSION AGINST THIS COMPANY AND I ENCOURAGE YOU TO DO SO. IF WE ALL DO IT WE MIGHT PUT THIS COMPANY OUT OF BUSINESS.